Every day, 25 Swedish men receive the news that they have cancer, and right now nearly 100,000 are being treated for the disease nationwide. Thereby it’s the most common form of cancer in Sweden, despite the fact that it only affects men. The disease has many different expressions. For some, prostate cancer is a very serious condition that requires aggressive treatment, while for others it develops slowly and only requires monitoring. Getting diagnosed with prostate cancer can invoke many different reactions. As one processes the news, there’s a great risk they will experience feelings of sadness and depression over time. It is also not uncommon that the diagnosed will have difficulty expressing their feelings about the disease, which affects both him and the people around him. But close friends and family play an important role, both as support and by helping to receive and evaluate the information given by healthcare providers. It is difficult to provide an exact prognosis of how the prostate cancer will develop. Some suffer from a fast-growing cancer, but for the vast majority the disease’s progression is slow. Compared to other cancer forms, prostate cancer is often modest and doesn’t require any treatment at all, just follow-up checks. Of course, it feels better to not have cancer in the body than to have it, but the problem with prostate cancer is that over half the men who are treated suffer from severe side effects. Data shows that about half the men who are operated become impotent and about one fifth suffer from incontinence. When prostate cancer is removed, there is a great risk that nerves and tissues will be damaged which are needed for, for example, erections and holding in. Even radiation leads to side effects that negatively impact patients’ quality of life. Due to the high risk that a treatment will lead to negative consequences, the patient is involved in the choice of treatment. Together with the urologist, an assessment of how to proceed is made. 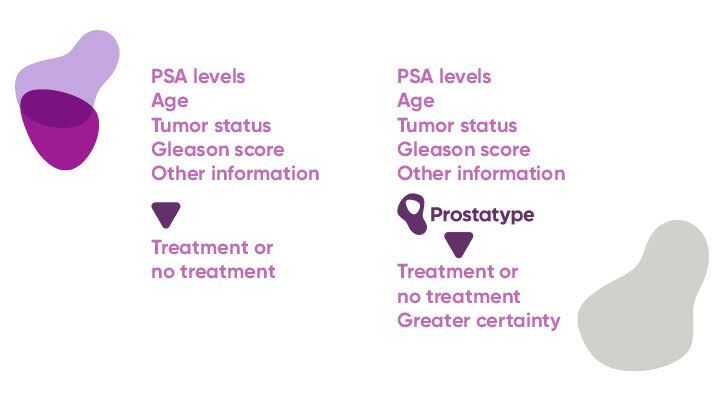 All the parameters are weighed in: the Gleason score, general state of health, age, PSA levels, and tumor status. 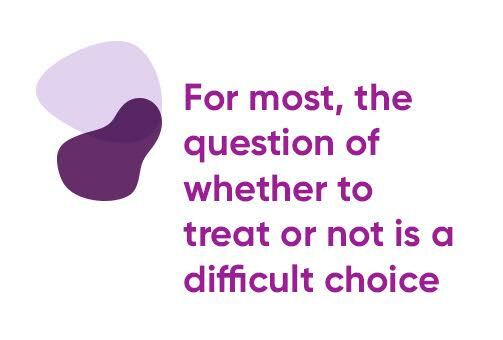 Often, the question of whether to treat or not is a difficult choice. Prostatype was developed to provide additional information for making this choice. The gene test measures things that cannot be seen (your genetic fingerprint) and, together with other information, obtains a measure of how aggressive the cancer is. In this way, the doctor and patient receive the best and most reliable possible information, which enables them to make an optimal treatment decision. Above all, this is to ensure that an aggressive cancer, which requires immediate treatment, is not overlooked. But it’s also to ensure that an aggressive treatment, which reduces quality of life, is not unnecessarily carried out. Here you can read more about how Prostatype works. 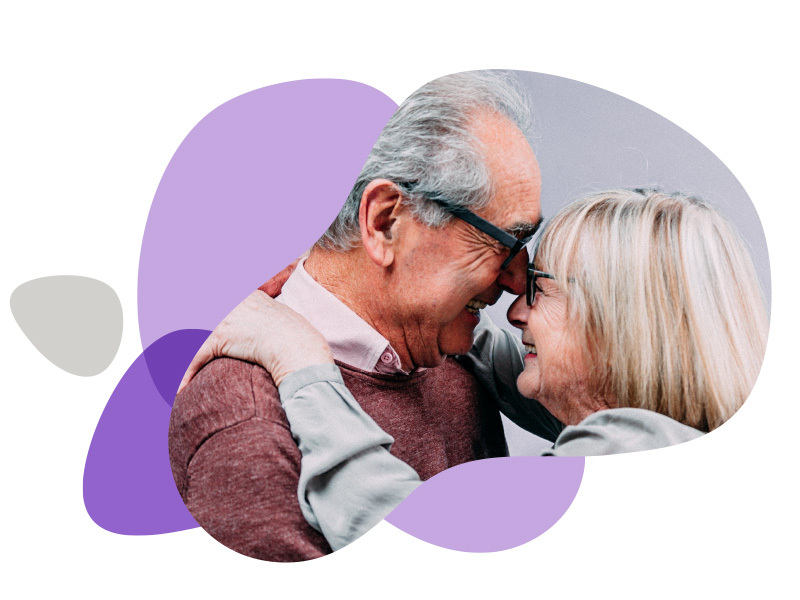 With Prostatype, you and your doctor receive a more reliable information basis prior to the decision on whether treatment is necessary or can be avoided. Many patients with prostate cancer can continue to lead their lives as normal. Regular checkups are performed to see how it develops, so called active surveillance. At some point the patient may be faced with the decision again: treat or don’t treat? Other patients need or choose to undergo an active treatment. This may involve surgery, radiation, cytostatic (“cell stopping”) or hormone therapy. After treatment, patients have continued contact with medical care for follow-ups as well as measures to limit adverse reactions or side effects from the selected treatment. The road to treatment can be burdensome, and support from close friends and family is important. Often, some type of hormone treatment is included that can cause mood and personality changes which can be trying for both the sufferer and his loved ones. PSA – a blood test that measures the level of prostate-specific antigens in the blood. Elevated levels can indicate cancer, but also other diseases. Unfortunately, the PSA test is relatively unspecific and oftentimes gives an uncertain result that should be followed up. Ultrasound – an instrument that reproduces an image of the prostate. Biopsy – the doctor takes microscopic samples of the prostate tissue for further analysis, in order to diagnose correctly. The biopsy or tissue sample itself does not provide information about the prostate cancer prognosis, that is, whether it is aggressive or not. Gleason score: The pathologist analyzing the prostate tissue sample under a microscope assigns a score to the cancer’s character based on what the cancer cells look like and how they are arranged. If the Gleason score is 6, 7 or 8, the probability is high that you and your doctor will receive valuable supplementary information with help from Prostatype to be able to answer the question of whether or to treat or not. 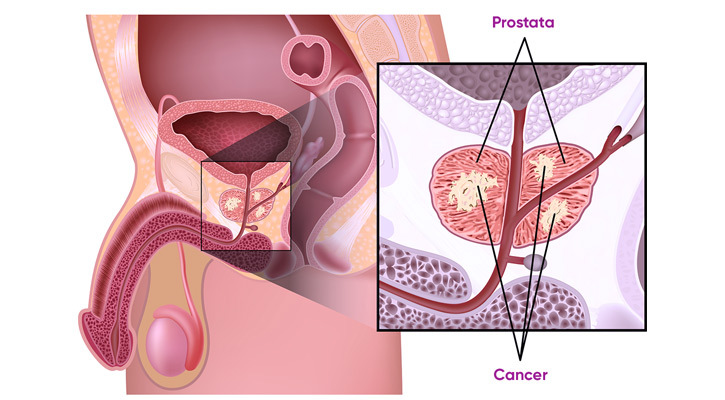 Staging: The urologist tries to determine whether the cancer is left inside the prostate gland, has spread to the adjacent tissues or has spread further into the body. The cancer is classified according to T, N and M categories. Other factors: The choice of treatment takes into account, for example, the patient’s age, health status, and personal opinions. Prostatype: An innovative and modern gene-based test that gives doctors and patients additional information about the cancer’s severity before the choice of treatment is made. Read more about Prostatype. Watchful waiting – The cancer is not treated because it does not constitute a problem in comparison to other factors, like age or general state of health. Active surveillance – The cancer is checked regularly to monitor its slow development, with help from diagnostic tools like PSA tests and tissue samples. Radical prostatectomy – The prostate is surgically removed. It is a complicated operation that can be performed with or without robotic assistance. There is a great risk that the nerves regulating erection and urination will be damaged. Radiation therapy – A program of different types of radiation. This type of treatment also carries a great risk of adverse side effects. Hormone therapy – More advanced types of prostate cancer can be held in check by blocking access to the hormone testosterone. Hormone therapy is also often associated with adverse reactions and side effects.